I can’t believe I’m sitting here just a few days before the end of 2017, how fast has this year absolutely flown by?! So today when I really should have been finishing typing up my back list of reviews instead I’ve been tidying up my 2017 challenge posts – and I still have some work to do on that – and creating my 2018 challenge pages! The majority of the challenges I took part in last year but there are a couple of new ones I’m looking forward to taking part in! 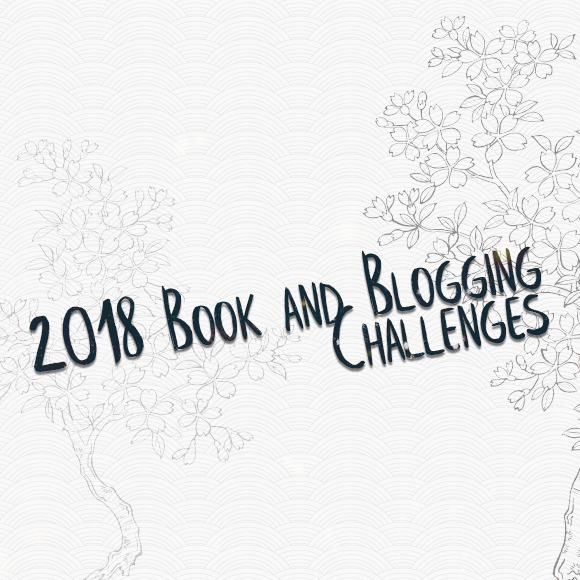 Clicking on the main link will take you to my challenge pages which will fill up throughout 2018. The Beat The Backlist Challenge is hosted by Novelknight. To qualify for the challenge the book simply has to be published in 2017 or earlier. There are no set reading goals, but I have a NetGalley backlog I’d quite like to make a serious dent it! You even get randomly assigned to a team when you sign up! I’m a Story Sorcerer! Sign up here to take part – There’s a giveaway open to anyone who signs up by the 31st December! Another challenge I’m taking part in for the second time. I’m a huge crime & thriller fan so this one is really right up my street! This year I’m aiming for Inspector level which is 26-35 books! The Cloak & Dagger Reading Challenge is hosted by Stormi at Books, Movies, Reviews! Oh My! This is my second year taking part in the discussion challenge. One of my favourite posts of the year came as part of the 2017 Discussion Challenge, it was delightfully controversial! I tailed off a bit towards the end of the year so this year I’m aiming to be a Creative Conversationalist and post 11-20 posts. I’m thinking one a month is manageable! The Book Blog Discussion Challenge is hosted by Nicole at Feed Your Fiction Addiction and Shannon at It Starts at Midnight. That looks like a crazy number of challenges! But there’s some overlap in there so a lot of the books I read will count for multiple challenges! What challenges are you planning on taking part in for 2018? Let me know below! This year really has flown by!! I can’t believe it! And all of these challenges look so cool! I didn’t do any this year except my goodreads challenge, but I’m going to sign up for a few of these now! Especially the backlist one, because there are wayyy to many books that I need to catch up on as well! Some of this year’s definitely encouraged me to read a little outside my usual zone and I discovered some great authors/books. Looking forward to seeing what 2018 brings! I’m not really planning to sign up to any challenges, but I wish you lots of luck in achieving all your goals with them. Love your new photo at the end, it’s gorgeous! That is a lot of challenges! I really enjoyed the British Books Challenge this year, but although I kept reading them, my reviews and links really fell off about halfway through. I plan to do better in 2018! Good luck with all of yours – I might join you in a few! I was terrible at remembering to link up my reviews! I’ll still be counting the books I didn’t link up in my 2017 totals when I do my wrap up post though! Hopefully this year I’ll be better and getting my reviews posted and linked up in the same month as I read the books! There’s a lot of overlap in my challenges though so hopefully it won’t be too much to keep up with! Let me know if you decide to join in any! The year really did fly past! You’ve certainly signed yourself up to a lot of challenges, but I think you definitely have nothing to worry about. You got This!